As signs of Spring slowly appear in my home state of Michigan, April reminds of Earth Day. You might think that frequent news reports should also be reminders of Earth Day. What do these events have in common? All of these events are all part of the interconnectivity of the various parts of our planet. Yet we often fail to make the connection between a single event and the larger picture of what is happening to the environment and society. I consider myself a concerned denizen of the environment but I’m certainly far from being a tree hugger. However I’m dumbfounded by those who don’t acknowledge the rapidly changing climate. Yes, the years have flown by quickly since Earth Day 1970 but 45 years of additional science and empirical evidence has given me reason to continue my concern. Nevertheless, it’s apparent that many still remain stuck in low gear on this topic. Regardless, maybe you would want to follow along as my mind becomes unstuck in time. I was attracted to Kurt Vonnegut‘s black humor early on. He died in April 2007 shortly before the original version of this article was published. News about his life and death took me back to the late 60’s when I was a student at the University of Michigan (U of M) in Ann Arbor. Vonnegut was invited to be “writer in residence” and as one of the most widely read authors of the day, he was sure to have a large, welcoming audience at U of M.
He frequented “The Brown Jug”, a small, local campus restaurant where he’d have breakfast and smoke lots of cigarettes. As an aside, Vonnegut claimed that smoking was the slowest form of suicide. My wife Kris, also a student, waitressed at The Brown Jug and on occasion would wait on him. But owing to a hearing difficulty she admitted that she wasn’t a very good waitress and frustrated Vonnegut with her (lack of) service. More to the point, his stay on campus as writer in residence ended prematurely when he suddenly left declaring: “I’m leaving Ann Arbor since I have nothing more to teach you about writing.” So it goes. From my perspective, 1970 was a very vibrant and exciting, yet conflicted era. A Charles Dickens quote from my high school yearbook describes the period: “it was the best of times and it was the worst of times….we were all going direct to heaven, we were all going direct the other way”. This was the period of Viet Nam and Kent State, living off the earth and making peace, hippies and long hair. 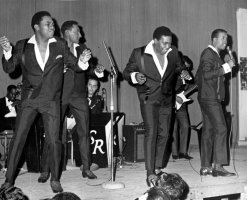 We were contemporaries of heavy metal, Motown, Bob Dylan, The Beatles, James Taylor and Woodstock music. With this as a backdrop, we happen upon the Earth Day 1970 teach-in at the U of M.
Shortly after Vonnegut’s departure, the well-known folk song artist Gordon Lightfoot came to Ann Arbor to perform for more than 12,000 screaming students. 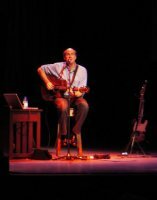 Gord had been drawing large audiences around the US, Canada and Europe with his classic Canadian Railroad Trilogy (click for lyrics), a poetic ballad describing the building of the railroads across Canada and the difficult tradeoffs between developing the economy and keeping the land pristine for the future. 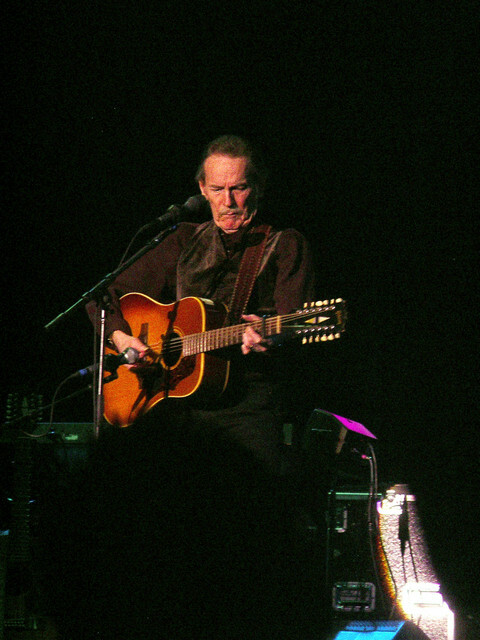 His music was great back then and to this day, I remain a Lightfoot fan. I was so much the fan that a few years ago I traveled to Las Vegas (by myself since no family member wanted to accompany me) to hear him in concert. And I ended up staying for two of his performances. I even have a life size poster of Gord which was gifted to me by the advertising manager of the casino. 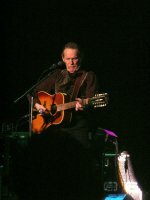 Lightfoot’s concert was part of the first Earth Day teach-in, a gathering of some 50,000 in Ann Arbor to discuss, educate and find solutions to environmental problems created by the earth’s inhabitants. From all of the excitement and the energy which went into the production of the first Earth Day teach-ins, many of us believed that we were on the verge of saving the environment. As an economics student, I was counting on a future career that would revolve around conservation, ecology and recycling. I studied writings from the likes of educators and humanists Kenneth Boulding, Buckminster Fuller and E.F. Schumacher and took courses such as remote sensing of the environment and cost-benefit analysis. My great enthusiasm for all things environmental waned not long after graduating with a degree in Natural Resource Economics. It was fully a year later that I was still trying to find a job in this nascent field. Instead, I ended up in the computer and publishing business. So it goes. It’s my intention to avoid talking politics so I won’t comment on how well or how poorly us earthlings have done to improve the environment over the past 45 years. However, like others, I’ve seen a very large and urgent movement in recent years to resurrect many of the same or similar ideas from these earlier decades that call for a change in our lifestyles. Of course there have been numerous events that have flashed attention on Earth Day such as a song with a conservation theme. 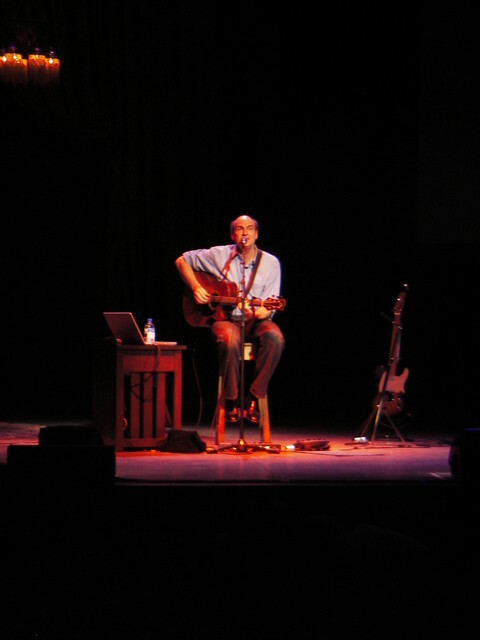 Conviction of the Heart (click for lyrics) was performed by writer/singer Kenny Loggins at Earth Day 1995 in Washington, DC. A few years back we took two of our young grandkids to see The Lorax, a movie based on a Dr Seuss’ book. It describes a place where the trees have been clear cut so there are no trees left. Everyone depends on manufactured air to provide oxygen for their survival. Through battle with “industry”, the hero finally succeeds in planting a single tree. This act restarts the path to regenerating oxygen naturally. While the story is a little far fetched, it presents the oxygen depletion issue to a young generation. Last year, we took them to see another movie – The Croods which depicts the struggle of a family of cave people to survive in a deteriorating world. They survive through human ingenuity with inventions such as fire, shoes and wheels. I hope this isn’t the only lesson for our next generation – that technology alone is going to save our environment. Yes, we are quite ingenious. But a lot of us have reservations that technology by itself will solve our planet’s woes. At this point, I’ll take a turn in the road. What does all of this rambling have to do photography? Well, to continue in the same vein, I thought it might be interesting to look at photography then and now to compare their individual environmental impacts. At first, I thought this was going to be a “no brainer” – that digital photography yields huge environmental savings compared to conventional photography. But as I began to dig deeper, I see that there are two sides to this argument. Having worked in several commercial photo labs long before the advent of digital, I’m familiar with the processes that are used in conventional (film-based) photography. Most conventional cameras use a cartridge or canister filled with film for 12, 20 or 36 exposures. Each “roll” of film is individually packaged for sale in hundreds of thousands of retail locations. Besides the resources needed to manufacture the film, a considerable amount more are used to market and distribute the products. Film derives its light sensitivity from a chemical mixture of silver halide that’s coated onto its surface. After being exposed to light by the camera, the film is first “developed” – the silver halide image is converted into a metallic silver and then “fixed” – the unused silver halide is dissolved. This makes the negative image permanent. Color film requires additional chemicals to form the dyes used to reproduce the various colors. And still other chemicals are used to enhance the drying of the photographic materials. In addition to these chemicals, a large amount of water is used to rinse and clean the chemicals from the surface of the film. Conventional photographic prints are processed similarly using a silver halide sensitive paper and chemicals to develop and fix and wash the positive images. Most commercial photo labs make prints from each exposure on a roll of film. The environmental impact of conventional photography is significant. A large amount materials is consumed to make film and photographic paper. A large amount of nasty and toxic chemicals are used to process both the film and prints. And an awfully large amount of fresh water is used in the process as well. At first glance, the coming of age of digital photography appears to have a beneficial impact on the environmental. With digital, no longer is there a need for roll after roll of film. Instead a single chip (SD-card or CF-card) can capture hundreds, maybe thousands of images. Now, these digital images no longer require chemical development. Rather, the images are immediately available to review while still in the camera. For permanence, the images can be copied to your computer hard drive for safekeeping, further enhancement and presentation. Unlike conventional processing where each exposure is mindlessly printed by the photo lab, you can be more selective. Instead you can choose to print only the best of the best images. And it’s your choice to print them using a conventional photo process at your favorite photo lab or print them at home on your color ink-jet printer. Regardless of which camera you’ve purchased, digital photography seems like a winner from an environmental standpoint. As with many things in life, digital photography has a few “gotcha’s” that cloud its environmental friendly moniker. The upside is that digital provides big savings in resources by eliminating film, packaging, paper and chemical processing. However, digital shifts the resource burden to the manufacturing and maintaining of the personal computer. Yes, there are some who make do without a personal computer. These picturetakers bring their digital film to a photo lab to make their selected prints. But most picturetakers collect, organize, retouch, process and present their photographs using a personal computer. Of course a personal computer is used for other tasks as well, so it’s not fair to put the full blame for digital photography’s negative impact on the environment. And to power all of these cameras, computers and accessories the need for electricity either from the wall outlet or batteries is climbing. Does this contribute to our CO2 footprint? Not surprisingly, manufacturers are working feverishly to add new and amazing whiz-bang features to their cameras. But now instead of buying a conventional camera every ten years or so, the buying cycle for digital cameras is a lot more frequent. Read: more resources consumed. We can credit the overwhelming adoption of digital cameras for saving the environment from millions of rolls of film and the required chemicals to develop the the film and prints. In addition to the great quality of digital technology, we benefit from a huge reduction of harmful photographic chemicals. Unfortunately, from an environmental standpoint, digital photography is a mixed bag when considering the pervasive number of new cameras and extensive use of the personal computer. In his novel Slaughterhouse Five, Kurt Vonnegut might comment on this no-win situation with the phrase so it goes. A while back, I wrote another article that might be of interest if you’re following the status of our environment. After all of these years as an avid photographer I’m still a proponent of carefully using our precious natural resources. Aside from photographing family, my favorite pastime is nature and landscape photography. To see some of the ways that I commune with nature, please click here. To the best of my ability I continue to practice “leave no trace photography” – disturb neither our wildlife nor its surroundings. Photography, whether conventional or digital, is a gift that lets me enjoy the wonders of our amazing world visually. I think many others agree. Here’s a few articles that touch on the conventional vs digital photography debate. For those of you who are interested in the movement, here is a link to one of the main Earth Day sites. Written by Arnie Lee, former flower child and founder of Stay Focused. Too many years of taking now. 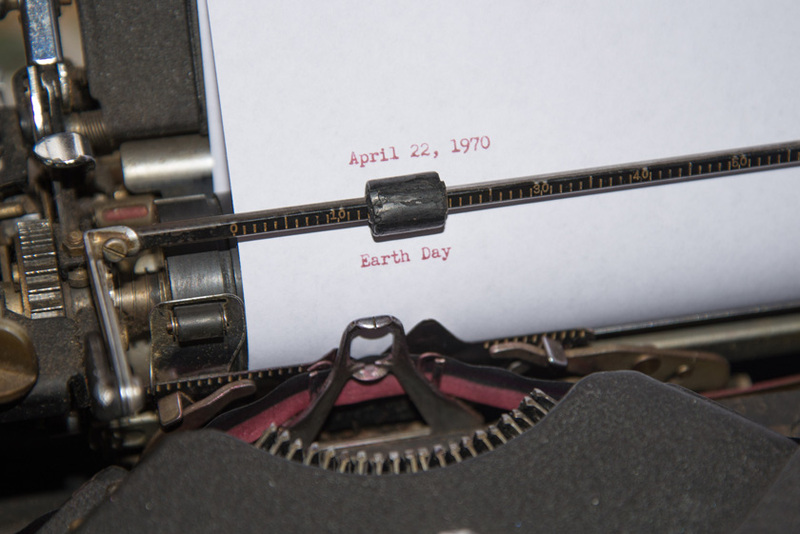 “Today marks the 44th anniversary of the first Earth Day. As April arrives each year I’m reminded of Earth Day. But right now I’m dumbfounded. Leading up to today I have yet to read, hear or see mentioned anything about Earth Day. I suppose the environment has taken a back seat to events like the confounding search for Malaysia Air Flight 370, the unraveling crisis in the Ukraine or the sorrowful sinking of a ferry off of South Korea. While I consider myself quite concerned about the environment, I’m certainly not a tree hugger. Yet as the years pass by since Earth Day 1970, it’s apparent that the general public is stuck in low gear on this topic. Regardless, maybe you’d like to follow along as my mind becomes unstuck in time. From the time I first started reading his black humor, novelist Kurt Vonnegut has been one on my favorite authors. He died in April 2007 shortly before the original version of this article was published. The news coverage of his life and death took me back to the late 60’s when I was a student at the University of Michigan (U of M) in Ann Arbor. Vonnegut was invited to be “writer in residence” and as one of the most widely read authors of the day, he was sure to have a large, welcoming audience at U of M.
He sometimes frequented “The Brown Jug”, a small, local campus restaurant where he’d have breakfast and smoke lots of cigarettes. As an aside, Vonnegut claimed that smoking was the slowest form of suicide. My wife Kris, also a student, waitressed at The Brown Jug and on occasion would wait on him. But owing to a hearing difficulty she admitted that she wasn’t a very good waitress and frustrated the celebrated writer with her (lack of) service. More to the point, his purpose on campus as writer in residence ended prematurely when he suddenly left declaring: “I’m leaving Ann Arbor since I have nothing more to teach you about writing.” So it goes. To put things in the proper perspective, 1970 was a very vibrant and exciting, yet conflicted era. I’m reminded of Charles Dicken’s quotation in my high school yearbook which aptly describes the period: “it was the best of times and it was the worst of times….we were all going direct to heaven, we were all going direct the other way”. This was the period of Viet Nam and Kent State, living off the earth and making peace, hippies and long hair. 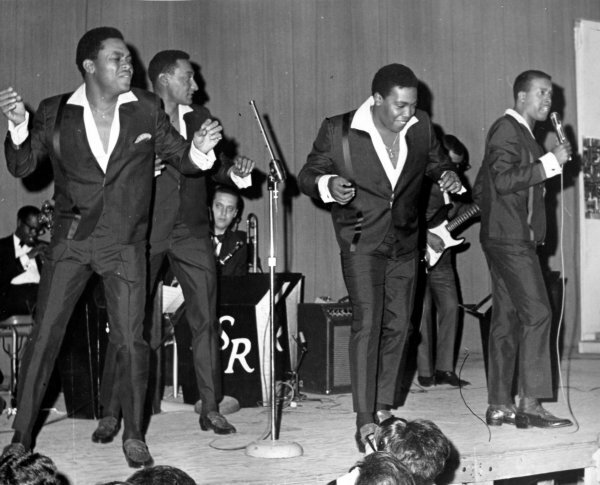 We were contemporaries of heavy metal, Motown, The Beatles, James Taylor and Woodstock music. With this as a backdrop, we happen upon the Earth Day 1970 teach-in at the U of M.
My great enthusiasm for all things environmental waned some time after graduating with a degree in Natural Resource Economics. It was fully a year later that I was still trying to find a job in this nascent field. Instead, I ended up in the computer and publishing business. So it goes. I tend to shy away from public discussions about politics so I won’t comment on how well or how poorly us earthlings have done to improve the environment over the past 44 years. 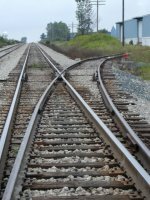 However, like others, I have observed a very large and urgent movement in recent years to resurrect many of the same or similar ideas from these earlier decades that call for a change in our lifestyles. So what does all of this rambling have to do photography? Well, to continue in the same vein, I thought it might be interesting to look at photography then and now to compare their individual environmental impacts. Most conventional cameras use a cartridge or cannister filled with film for 12, 20 or 36 exposures. Each “roll” of film is individually packaged for sale in hundreds of thousands of retail locations. Besides the resources needed to manufacture the film, a considerable amount more are used to market and distribute the products. Film derives its light sensitivity from a chemical mixture of silver halide that’s coated onto its surface. After being exposed to light by the camera, the film is first “developed” – the silver halide image is converted into a metallic silver and then “fixed” – the unused silver halide is dissolved. This makes the negative image permament. Color film requires additional chemicals to form the dyes used to reproduce the various colors. And still other chemicals are used to enhance the drying of the photographic materials. In addition to these chemicals, a large amount of water is used to rinse and clean the chemicals from the surface of the film. Now, these digital images no longer require chemical development. Rather, the images are immediately available to review while still in the camera. For permanance, the images can be copied to your computer hard drive for safekeeping, further enhancement and presentation. As with many things in life, digital photography has a few “gottcha’s” that cloud its environmental friendly moniker. Last year I wrote another article that might be of interest if you’re following the status of our environment. To the best of my ability I continue to practice “leave no trace photography” – disturb neither our wildlife nor its sourroundings. Photography, whether conventional or digital, is a gift that lets me enjoy the wonders of our amazing world visually. I think many others agree.